Two months ago, while A. was still in Tokyo, I nearly pulled what would've been the gutsiest, most irresponsible move of my life: I almost bought a ticket to go out and see him. It would've been exhilarating and unbelievably rash of me to catch the next flight out to Japan and prove to myself that I, too, was capable of crazy fits of madness. In the end though, the impending poverty I'd surely face upon my return was enough to make me stay. So instead I swooned over A. 's photos of vibrant neighborhoods, colors splashed across every inch of space. I'd google each place he mentioned in his e-mails imagining myself walking through the streets alongside him. How badly I wanted to travel across the globe and experience these places for myself! It's nowhere near actually being there, but Kate T. Williamson's A Year in Japan manages to capture some of the magic that lies within Japanese culture. 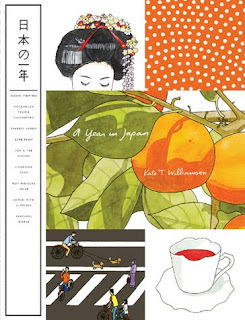 With her journal notes paired with such detailed watercolor illustrations, Williamson delves into the intricacies of everyday life and presents an eye-catching tour through the heart of Japan. A place where karaoke is taken seriously, tofu is sold from wooden carts pushed by elderly men and the people believe that a rabbit on moon pounds rice into mochi. Some concepts, like riding a bullet train (shinkansen) and the difference between a maiko and a geisha, I'd already learned through A. 's adventures, but I thoroughly enjoyed this visual journey. Once I picked it up one morning, I couldn't set it down until I'd spent the entire year with her. I hope you get to Japan someday... with A. as your tour guide! 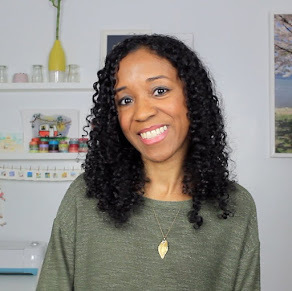 You should check out Vivian's blog, Lost in Translation. She's currently living in Japan (and has been for almost a year), and she does a really good job of describing her life in rural Japan as well as her trips into the big cities. It's so interesting. Japan has always been a place I wanted to visit as well. Rather than the bustling Tokyo, I am definitely more interested in old Japan, like Kyoto. Hope you get to visit Japan with A someday. Hi, Im visiting over from SITS, this was a very interesting post. Japan is definitely on my travel to do list, I will have to check out that book. Do you have any advice for a struggling writer, I'm interning remotely for a year now and have not landed an on-site internship in publishing yet.